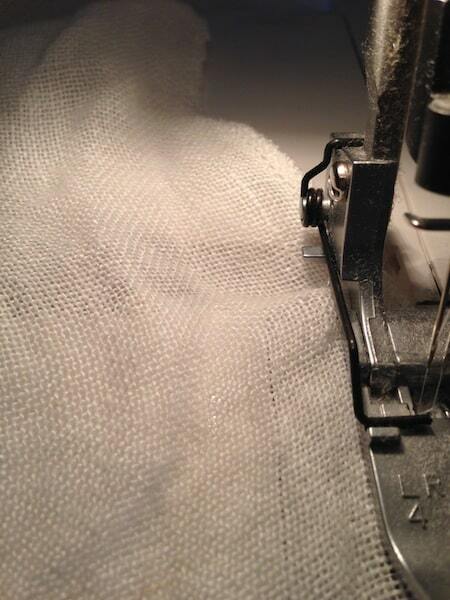 save these gorgeous (but damaged) linen drapes I said “heck yeah”…no hesitation on my part! Our family business is construction and remodeling. 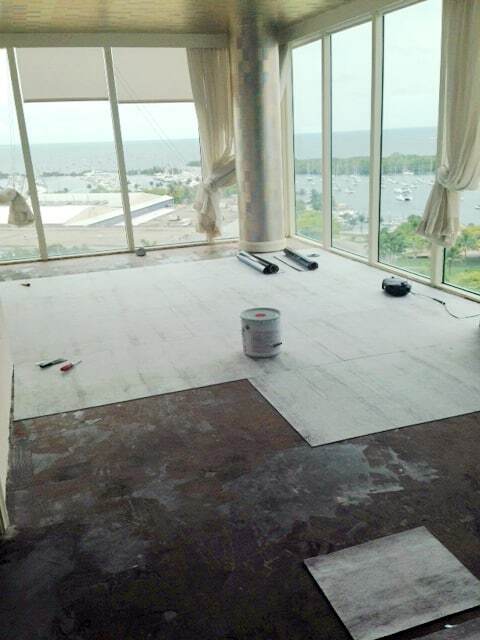 We work in the high~end field of both condos and homes in the area, and the photo above is a remodeling job that we had in a condo in the Ritz~Carlton that was flooded by a storm (and poor window installation…another story altogether!). The drapes were custom made for the massive windows and suffered some water damage and since the homeowner was insured they were replaced with new. Throw out the old? NO WAY…so we took them home and I washed them and laid them out in the sun on the grass to dry. The water stains were gone for the most part…yay! The drapes were not sized for my windows and they were made for traverse rods, which I’m not a fan of personally…so I set out to sew. LOTS OF LINT comes off in sewing with linen, and since I want to be able to wash these from time to time I serged all of the ends to prevent fraying.I don’t want to see my serger or sewing machine again for a good long while now! 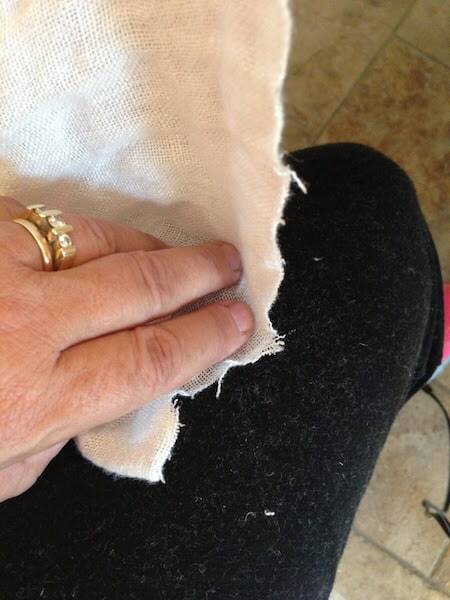 I still need to do some more steaming to the linen and they should relax wrinkling with another round of that. 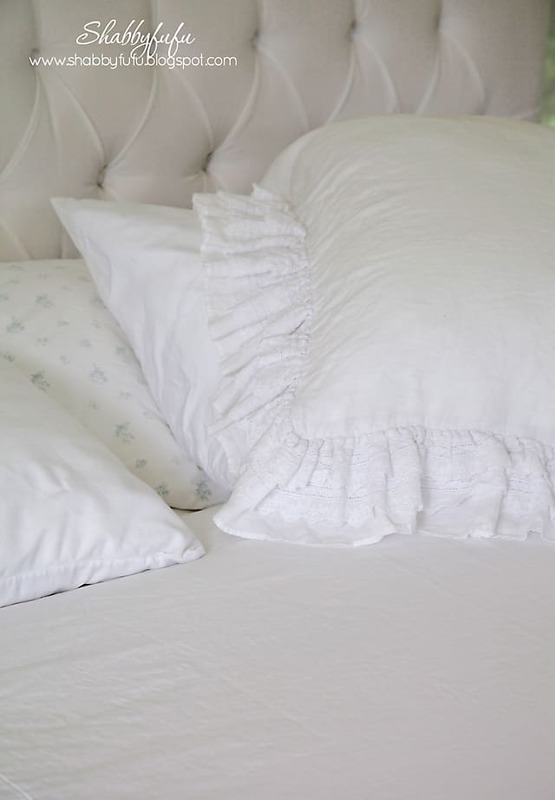 Our master bedroom is white, and the linen drapes add a nice elegant touch. With all of the white I’d been debating replacing the candle covers on this old massive white tole chandelier, that are yellowed with age. If you look at the first photo you’ll see how they look replaced. Still on the fence about this. Some rearranging on the bedroom mantel and will be working more on that over the weekend. 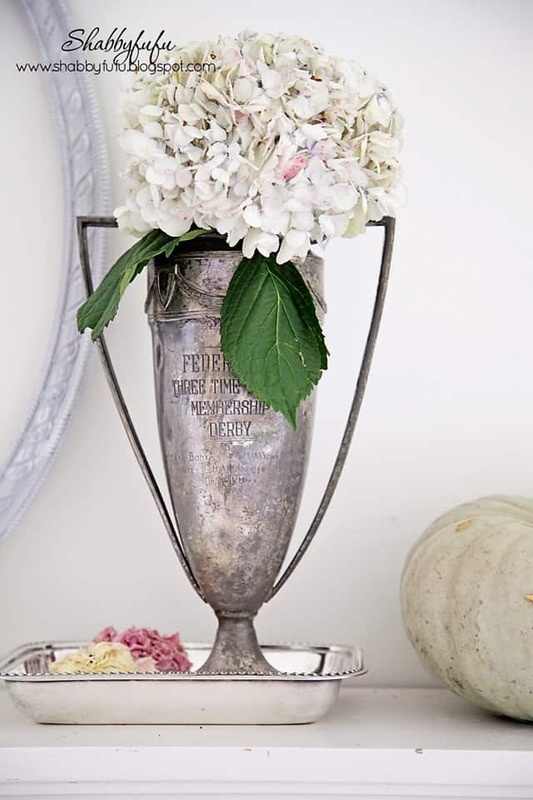 Favorite vintage trophy cup, faded hydrangeas and a few “fantasy pumpkins”, as they are often called in their pale colors and odd shapes. 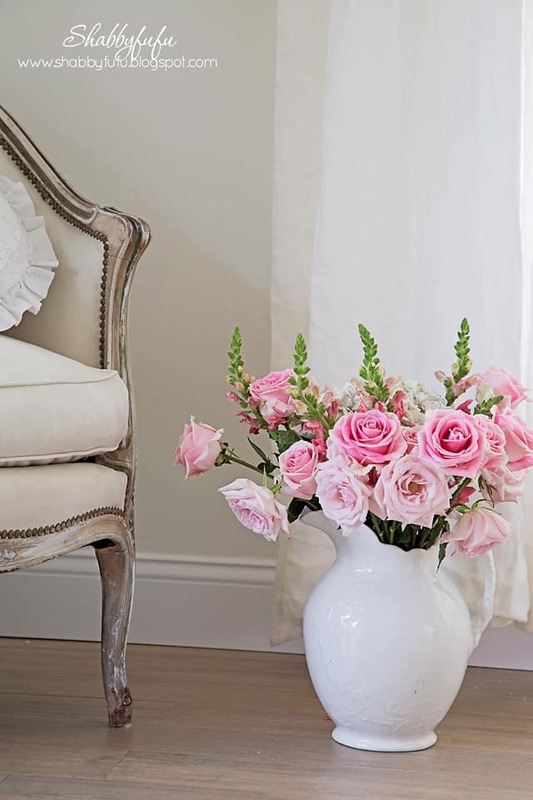 Just a touch of pink with the prettiest roses in soft colors to break up all of the bedroom white. I’m so happy to have saved those drapes from the landfill and the work that was put into them was definitely worth it! 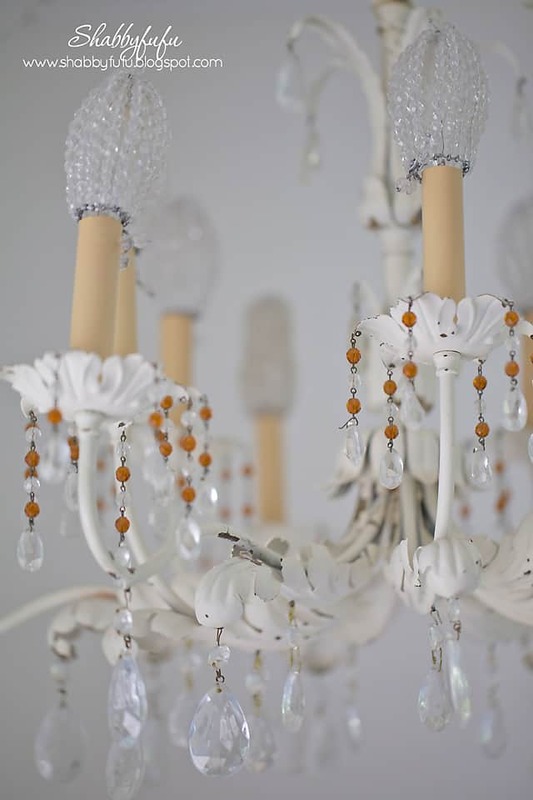 Replace the yellowed candle / bulb holders in your chandelier? Why not just cover them with white paper cut to size and glue stick them in place? 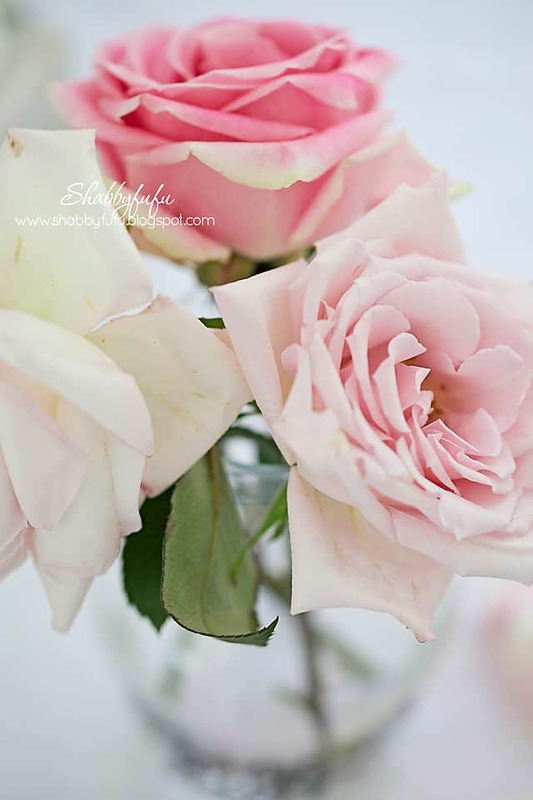 I can also see them in soft pink! They could easily be changed out according to your mood or the seasons! 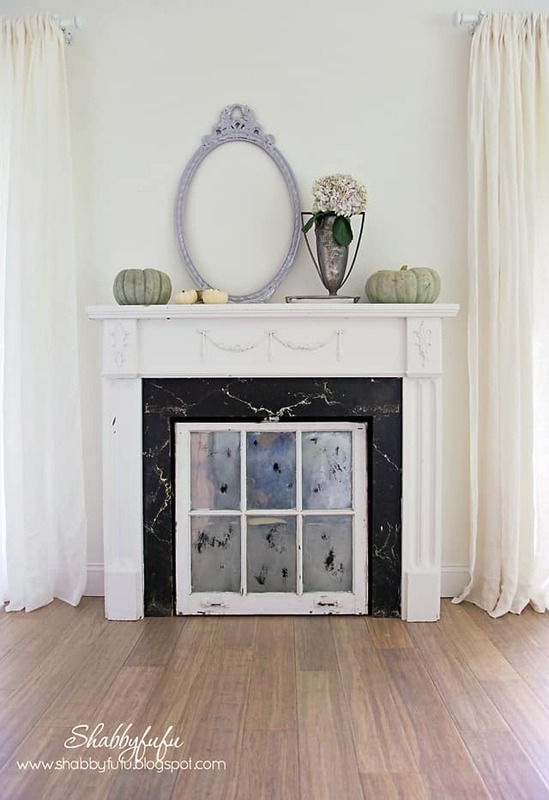 Checking in about the chandelier, the new ones seem too white, the old ones too yellow, I'm worried about covering them with paper due to fire hazard, but perhaps you could use a chalk paint color that would enhance the whites in the room. Honestly, the dark beads are a bit of distraction for me personally, I think I would replace those too. Love love your "new" linen drapes! 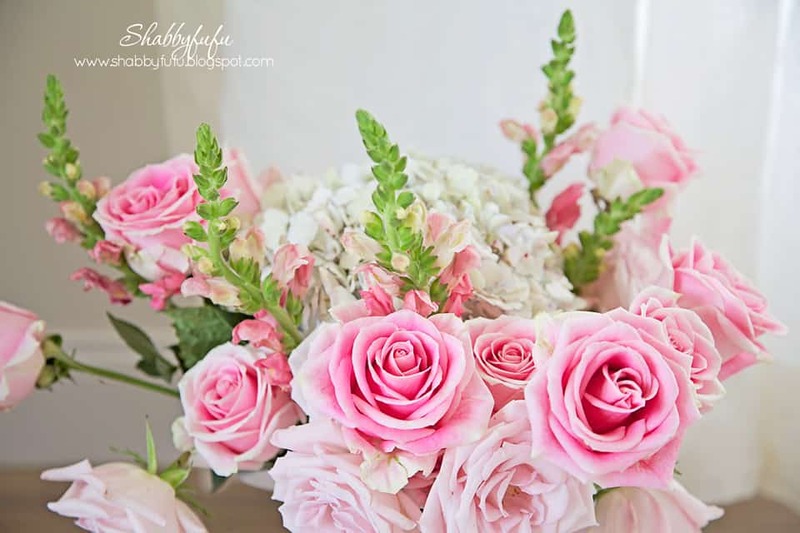 Wow – the drapes are gorgeous – but the entire room is magnificent – thanks so much for sharing – I'm off to pin! Love love love the room! 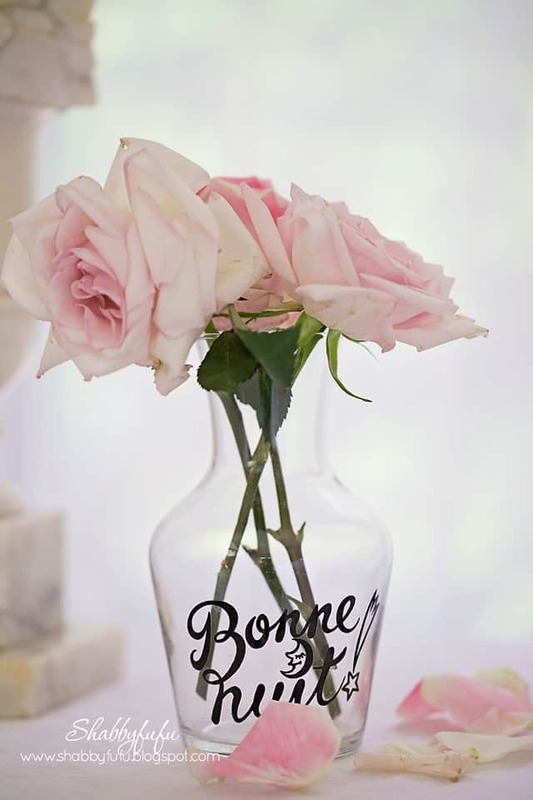 As for the chandelier candle stick..there is plastic spray paint where you can spray them any color, but if you did an off or vintage white then they won't look stark white or yellowed. Mellow vintage to match the chandelier. I just painted some turquoise to match a Kitchen light and it works great.